A group of football fans sang sectarian songs on a train after a match in Inverness at the weekend. 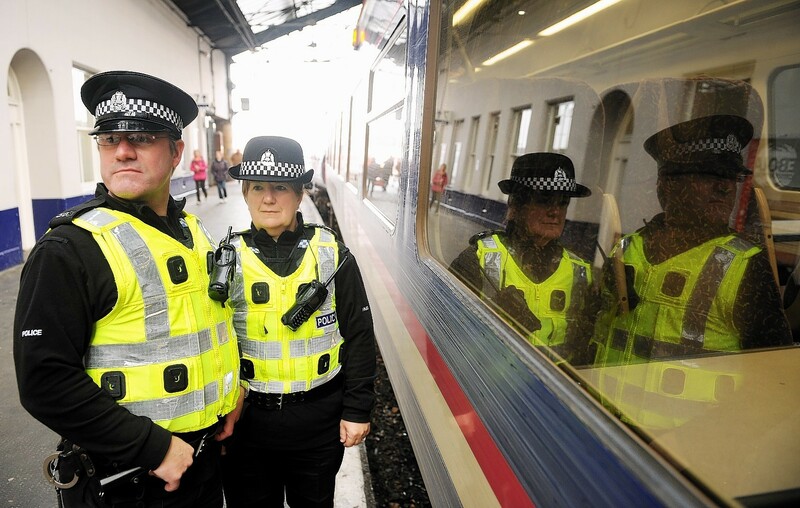 British Transport Police have launched an investigation after the crowd of up to 15 supporters sang offensive songs on a train between Inverness and Edinburgh. The train was packed with other fans, young families and children who witnessed the singing, which continued after the group left the train at Haymarket Station in Edinburgh. Police are now trying to identify the group of supporters, who were between 10 and 15 in nature. The officer investigating the incident said the force has a “no tolerance attitude” towards this kind of behaviour and called on anyone with information which could help identify the group to make contact. The incident followed a 3-3 draw in a Scottish Premiership match between Inverness Caledonian Thistle and Hearts in the Highland capital on Saturday afternoon. The singing happened on the 6.45pm service from Inverness to Edinburgh Waverley. British Transport Police said the offensive behaviour took place “throughout the journey and after alighting at Haymarket Station”. Investigating officer Constable Chris Sutherland said: “This behaviour was by a small pocked of supporters on a busy train, packed with other fans and young families. “We have a no tolerance attitude towards such behaviour, which has no place whatsoever in the game. Anyone with information is asked to contact British Transport Police on 0800 40 50 40 or text 61016, quoting 222 of 30/10. Inverness Caledonian Thistle and Hearts both declined to comment on the investigation when contacted about the incident yesterday.